After a brief break, I'm back to brights! I couldn't resist pairing pink and orange once again, but this time I went with a paler pink to complement the hot coral. That necklace is gorgeous. It really makes the outfit zing, love it. I really need to update my jewel collection! Orang & pink. Great combo. 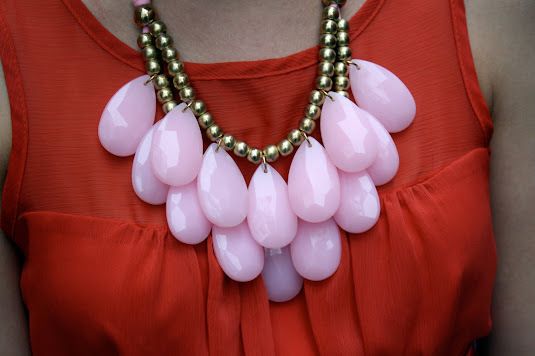 Very bold but girly! Love it. So cute! I love how the bold colors go with your blond hair! Very pretty! I really like this outfit..and your hair is just perfect on you! loving all the beautiful colors!! 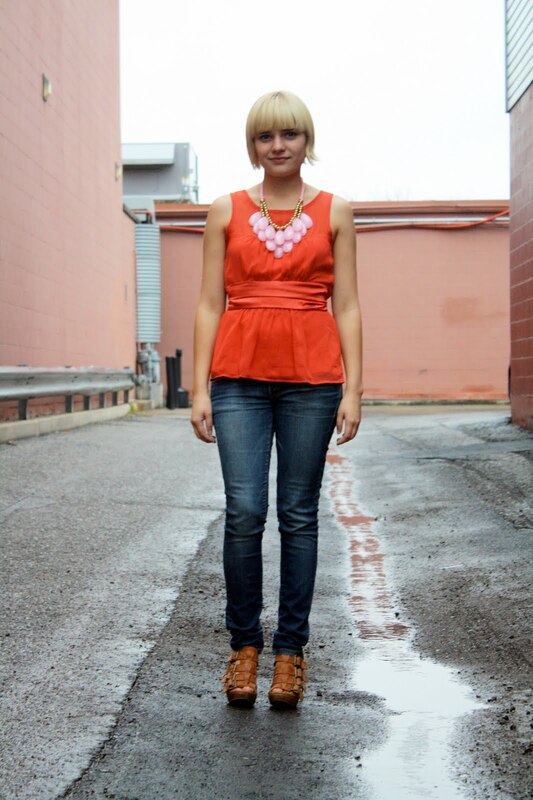 looking for a perfect orange top now!! You have just solved the problem I've been having with a silk blouse in this same color. Thank you! I love these colors together! I'm off to go look for pink and orange pieces to wear together! You look perfect!! Your hair color with that top is awesome. Plus I am in love with those shoes. Love this outfit! That necklace is stunning! I LOVE love love your outfit. Great job putting it together. I'm loving all the orange and pink together. Its such a pretty combo! I love the bright top with the blue. You look lovely. 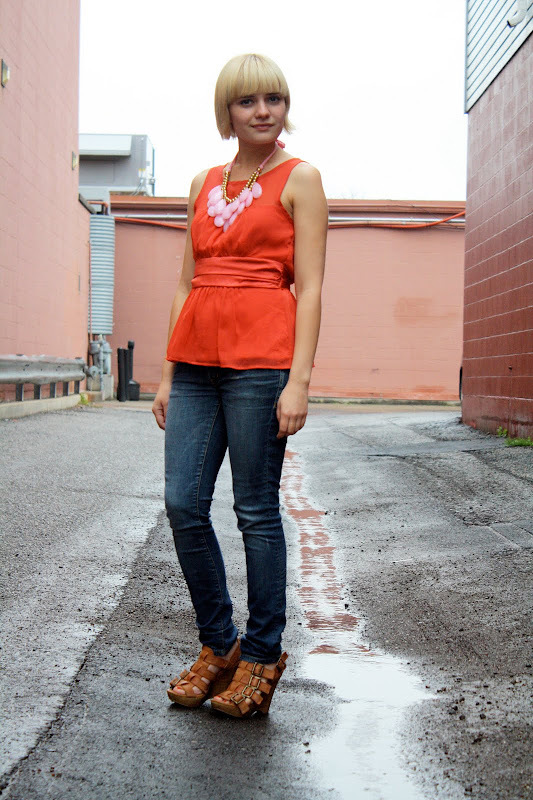 I love the pink necklace against the orange top! So pretty!